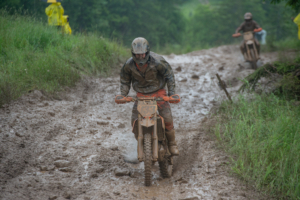 Our visit to the mountain for this year’s GNCC round 9 was true to form as nicknamed “America’s Toughest Race.” Fog, rain, mud, roots and the challenging hills of West Virginia made for a great day of off road racing. Ben Kelley started on row 2 for the exciting and unique live engine start modeled after the famous Blackwater 100 cross country event. 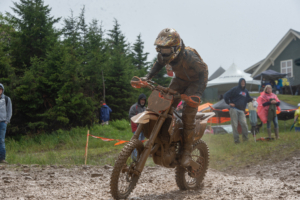 Ben got off the line well and settled in with the top 15 riders overall as the track took them from high to low and back again on the Snowshoe mountain slopes, forests and fire roads. 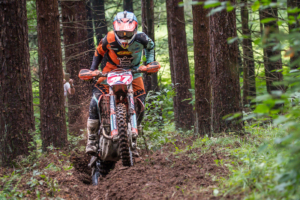 On lap two Ben, and his KTM mounted teammate Josh Toth, began to distance themselves from the other XC2 riders but continued to battle for the top class position as they moved up in the overall standings. On lap four Ben took over the lead and pushed hard to try to make the overall podium. At the checkers Ben took the XC2 win and landed 4th overall at the 12th annual Snowshoe GNCC. Chris Bach returned to GNCC racing on a FMF equipped KTM 125 SX in the XC3 125 ProAm class. Chris had a great ride going running in the top three for the first six laps until a mechanical issue ended his run for the day. Chris had a lot of fun lining up in XC3 and I’m sure we will see him back again this year at a future round. In the 250 A class Simon Johnson got a great start off the line and came around in third place after lap 1 and continued to push until taking over the lead on lap 3. Simon lead for the next four laps gapping second place by more than two minutes on the rough and slippery mountain course. On the last lap a fall on a steep uphill damaged Simon’s bike and required him to turn around and go back down the slope before restarting his race. The unfortunate crash broke his clutch lever and he had also surrendered the lead. Simon drove hard but came up 2 seconds short at the checkers but took a well earned 2nd place in class and 32nd overall for the day. 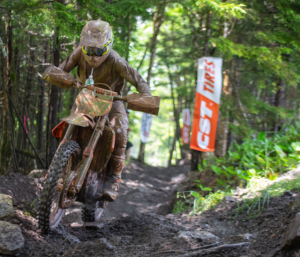 Owen Giese had his ups and downs at Snowshoe Mountain struggling at first and coming around in ninth place the first lap. But Owen kept charging and picking off riders until he took over 3rd place in class on lap five. 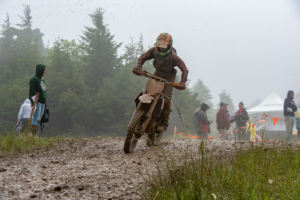 From there Owen went on to score his first ever GNCC 250 A podium (3rd place) and 39th overall. 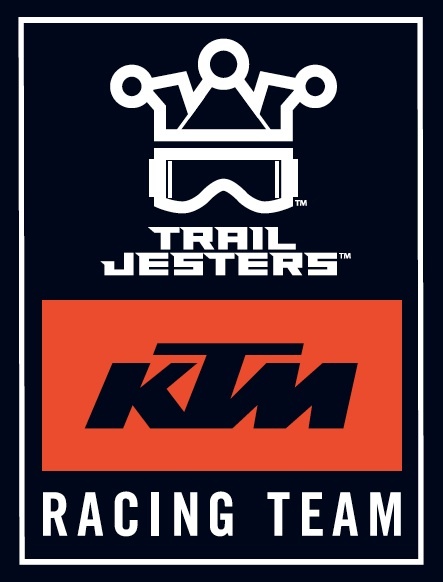 Copake Lake, New York (June 18, 2018) – Trail Jesters KTM Racing is very pleased to announce today that Chris Bach has joined the team for the remainder of 2018. 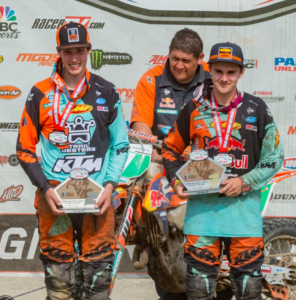 Bach will race a 2018 KTM 125 SX in select Grand National Cross Country XC3 125 ProAm and AMA Pro Motocross 125cc All Star events. 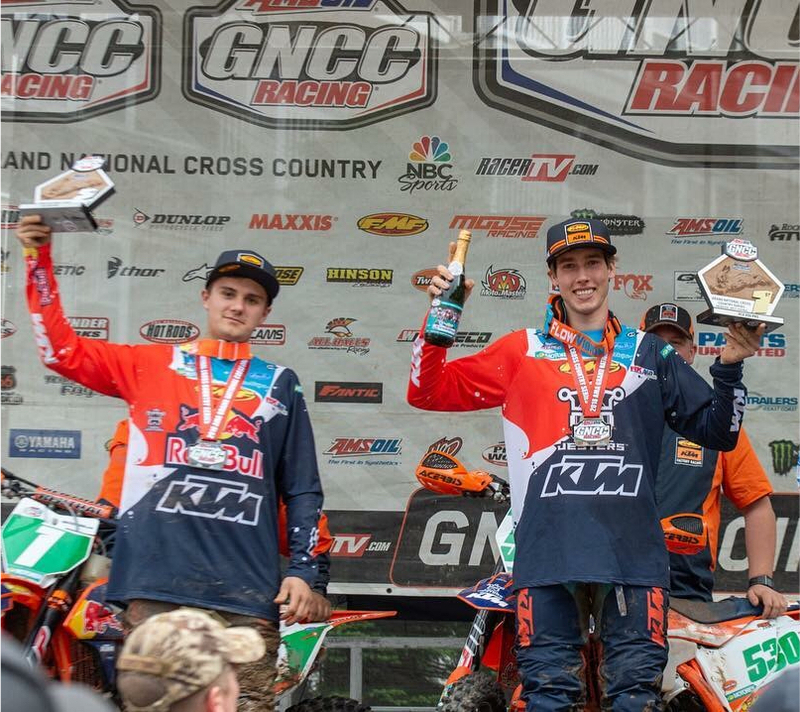 Chris hails from Crown Point, Indiana and was a long time professional offroad racer riding for both Honda and KTM before retiring from full time racing in 2017. 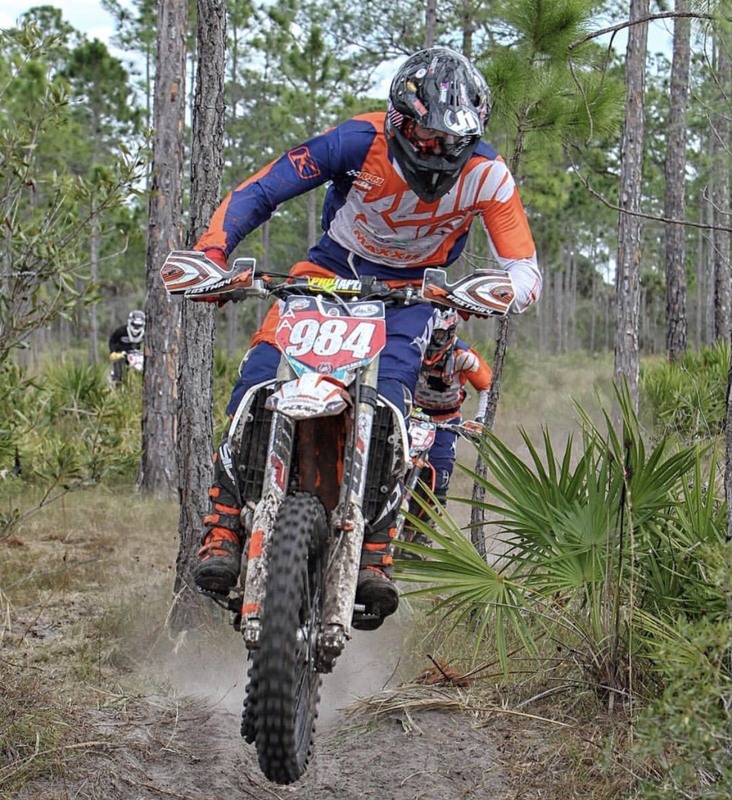 Chris is now doing R&D work for KTM, in the commercial real estate business and riding for fun when he can. 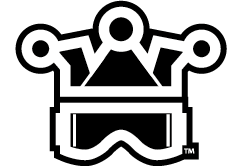 Chris had many successes throughout his professional career including multiple XC1 podiums at Snowshoe, WV. So it is quite fitting that Chris announce his return to the sport he loves and that he will ride select GNCC events in the XC3 125 ProAm class beginning at the upcoming Snowshoe GNCC on June 20. Chris Bach in 2017 on his RPM Racing KTM 350 XC-F.
Also of note and very fitting to this next phase of racing for Chris is that he will run the number 133 on his bike in honor of the late Dale Cooke. “Two stroke fever has swept the nation and we couldn’t help but get caught up in the excitement and resurgence of racing these popular machines. 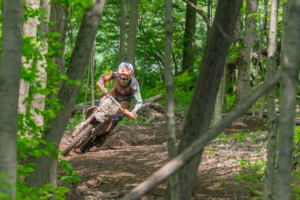 After talking to Chris it was an easy decision to broaden our focus and support a great rider that wanted to get back into the sport he loves.” said Ross Mauri, the founder of Trail Jesters. Thank you to KTM, FMF Racing, Motorex, and Edelmann’s Sales in Troy, NY for their continued support. 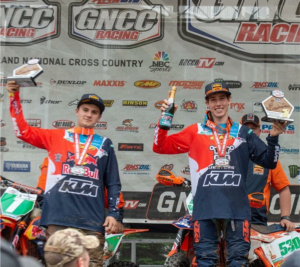 A 15 mile technical and muddy course turned the PM race of the John Penton GNCC into a grueling three hour affair for Trail Jesters KTM Racing riders Ben Kelley, Owen Giese and Simon Johnson. Ben got off the XC2 line about mid-pack and came around on lap 1 in sixth place and over a minute off the class leader. Ben continued to charge forward putting down best in class times for laps 2 and 3 moving him into third place. 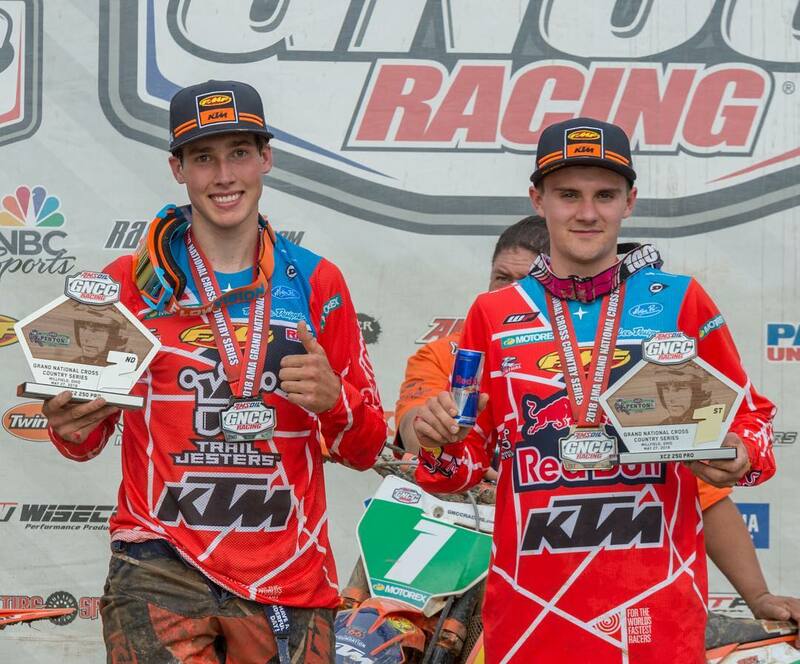 Ben worked up into second place and only 20 seconds off fellow KTM rider Josh Toth at the scoring line on lap 4. 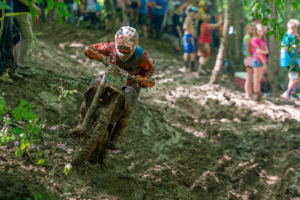 But the final lap proved to be a tough one for Ben getting stuck in mud holes several times which drained his energy and so he cruised in to take 2nd in XC2 250 Pro at GNCC round 7. Ben’s FMF equipped KTM 250 XC-F ran flawlessly and his pace in the mud and ruts garnered him seventh overall for the day. In the 250 A class Simon Johnson had a terrific race getting a good start and coming around in second place in class on lap 1. The 17 year old continued to put down impressive lap times moving into first place with a minute and a half lead after three laps. But on lap four Simon got buried in a mud hole and lost 25 minutes getting himself out resulting in a frustrating sixth place finish for the day. Owen Giese slid out in the first turn setting himself up for a charge up through the field. Owen put his New England riding background to good use moving up to third place in class by the end of lap 1. Owen continued to run very well maintaining his position and pace until getting stuck in the same mud hole as Simon on lap 4! It took Owen over 12 minutes to get out and he came across the line to take 4th place in 250 A class. Ben got off the starting line well but slowed in the extreme dust on the second and third straightaways leaving him to enter the woods in 14th place in class. At the end of the first lap Ben had worked his way up to 7th place but was 40 seconds off the lead and thus had his work cut out for him the remainder of the 3 hour race. Ben climbed up to 4th by lap 2 and then to 2nd place by lap 5 but still 30 seconds separated him from class leader Josh Toth. 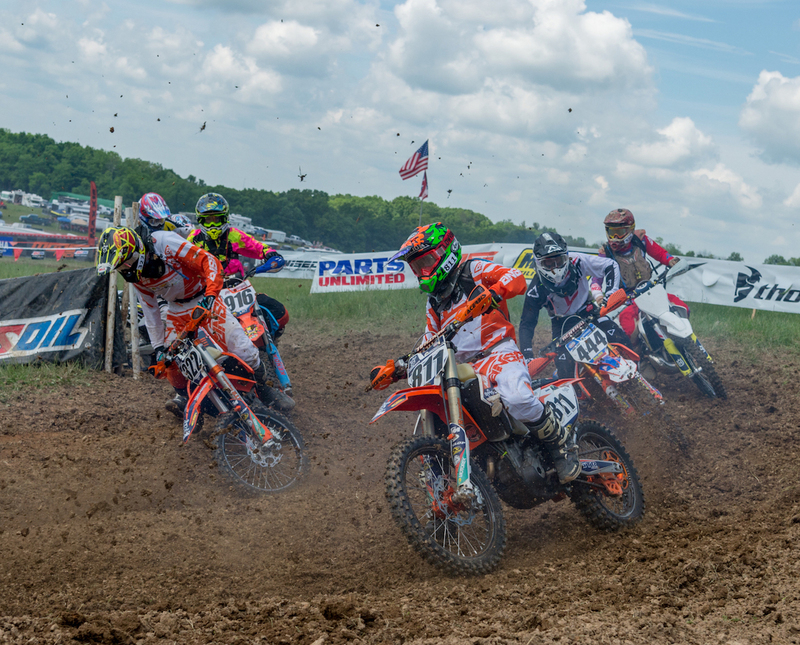 Ben put on a charge to try to catch his fellow KTM rider laying down his best lap time of the race on the white flag lap but fell 8 seconds short at the checkered flag. The spectators enjoyed another great battle from this pair of riders from Connecticut. 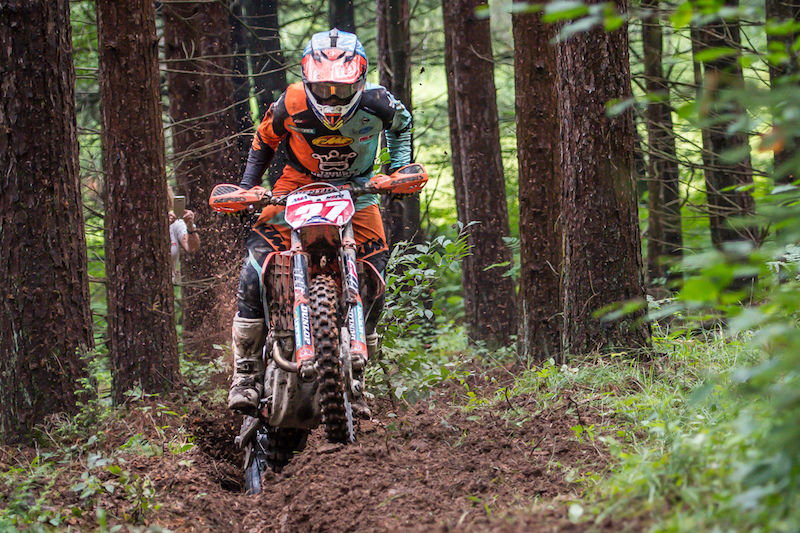 Ben’s FMF equipped KTM 250 XC-F ran flawlessly and his pace landed him ninth overall for the day. Ben holds a 25 point lead in the XC2 250 Pro class series heading in GNCC round 7. In the 250 A class Simon Johnson took 5th place and Owen Giese took 7th place. 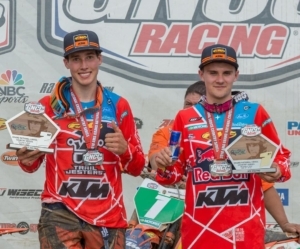 Simon and Owen ride FMF equipped KTM 250 XC-F bikes from Edelmann Sales in Troy, New York. Simon is currently in third place for the 250 A series points with Owen in fourth place after six rounds.